Can I Get a Store Credit Card With Bad Credit? With bad credit, getting approved for credit cards is challenging. To rebuild your score you’ll need to demonstrate financial responsibility, but how can you do that if most major credit card issuers won’t take a chance on you? The good news is that even with poor credit, you can get approved for bad credit credit cards, including store credit cards. To encourage customers to shop in their stores, many retailers have more relaxed requirements than major credit card issuers. The trade-offs are often high interest rates and credit limits that may be quite low. Still, store cards offer an opportunity to prove your creditworthiness without having to submit a deposit upfront, as you would with secured credit cards. Even with bad credit, you’ve still got a shot at getting credit cards at a number of major stores. Before you start shopping, though, be aware that if you carry a balance, it could prove a real disadvantage. The high interest that comes with these cards could add up quickly, increasing what you owe dramatically as the months pass. Additionally, low credit limits mean that almost any balance carried will appear to the credit bureaus as a high credit utilization ratio, which can ultimately lower your credit score. Don’t apply for several store credit cards at once — especially within a short timespan — since this can negatively impact your credit score. Apply where you shop frequently, so you can take advantage the discounts that come with your card. Keep your balance lower than 30% of your credit limit for a healthy credit utilization ratio. Pay off your balance in full and on time every month to avoid accumulating interest while establishing or repairing your credit. If you aren’t able to pay the balance in full, make the largest payment you can afford. Monitor your credit score regularly through free credit reports, so you can track your progress. As your credit score improves, apply for major credit cards that are widely accepted and come with more favorable terms. 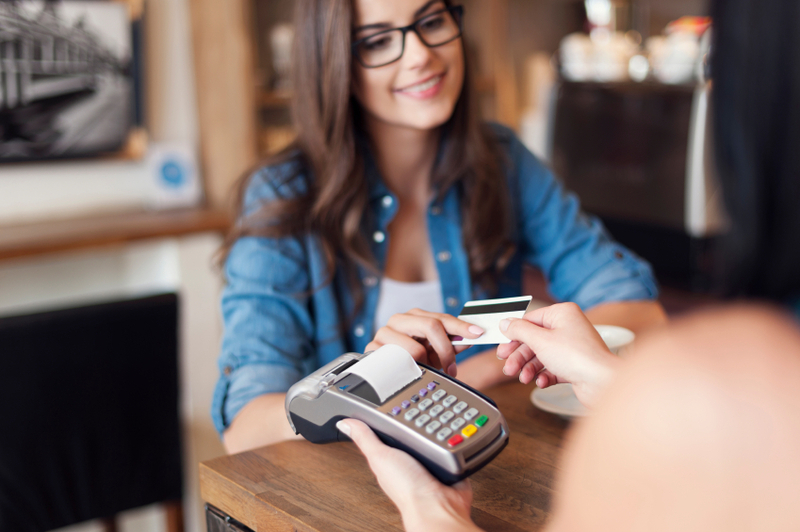 While store credit cards aren’t ideal due to their high interest rates and low limits, as long as you pay your store card bills faithfully every month, your credit will improve. And over time, the best credit card offers can finally be within your reach.